This is a very well-sailed Sydney 38 which, along with Tony Levett, has contested every Hobart since 2004, except last year when forced to withdraw entry due to time issues. He finished 11th overall and fifth in Division 4 in 2015 and sixth overall for fourth in Division 3 in 2014. 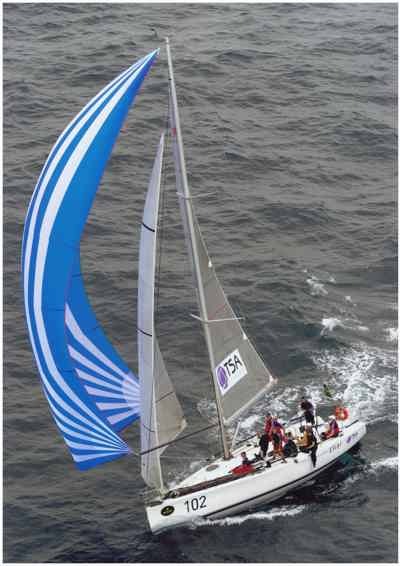 In the 2013 Hobart, the boat known variously as TSA Management, Eleni and Horwath BRI, finished 39th overall, retiring in 2012 when the rudder broke. Won the Sydney 38 OD division of the 2010 and 2011 Sydney Hobarts and was third in the Sydney 38 OD Division in 2008. Will be pushed along by Calibre and Mondo, the two other Sydney 38’s in the race. Former six-time 18ft skiff champ and gun yachtie Andrew ‘Bucko’ Buckland joins the crew.